Plants bring movement and life to every room in your home and has the advantage of changing the look of a room without major adjustments and costs. Even the smallest splash of green can enliven a space. There are many benefits to having indoor plants in your home other than aesthetic values. Indoor plants can also provide an uplifting spirit that can calm and relax you when you’re feeling stressed. Not to forget also the improved air quality and oxygen they provide so you can breathe easy. The use of plants to enhance the interior decor can be both versatile and cost effective. A display as dramatic as desired can be achieved with a little bit of imagination and by using the vast variety of plants available. Firstly, think about how much time can you afford to devote to your plants. Some plants require a lot of attention, and some flourish with almost no attention at all. For example, cacti and evergreens need very little attention, but an African violet needs almost daily attention. Next, take note of the size of your living space. The larger the room you are working with, the bigger and more numerous the plants can be. Let’s face it, a single small green plant looks lost in a large empty space, however, several flowering plants in a basket or arranged in small pots on the same table can serve as a beautifully colorful accent to a room. In a small room, large plants are oppressive and take up way too much space. 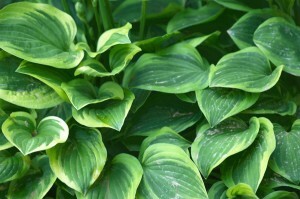 To get the best effect, you should choose mid-size or small plants with large delicate leaves. Plants always look best against simple backgrounds. If they have large foliage, they should be placed in front of wallpaper with a small pattern. Large patterned wallpaper calls out for filigreed leaves or ferns. Wood-paneled walls like climbing plants arranged on a wood or bamboo support. These also look great by brightly painted walls. Make sure your decorative scheme takes into account the way light enters your room. Not only do you have to consider suitability of the plant to grow in the conditions of light and warmth of the room, but also if you put the plants in front of a bright, sunny wall, their shadows can create interesting and unusual patterns on the wall or ceiling or even plain 8×10 rugs. Mix and match plants with varying styles and shades of foliage. Leaves of various shapes also add to the contrast. Plants have to be of varying heights to give an aura of nature – in a natural setting plants rarely grow to the same size and shape. Plants with large shiny leaves will compliment the furry or velvety foliage of other plants. Foliage does not have to be green only. Colored foliage plants can be mixed in with green only plants to make an enchanting display. However, ensure the colours of leaves and flowers you choose don’t clash with your decor. You don’t want to take expensive furnishings and wall coverings and reduce them by the wrong colored flowers in your pots. Place your plants by each other where they can compliment each other. Put larger plants in the background of smaller plant groupings. For more information on plants and containers that will compliment your home or office space, or to inquire about a free consultation for plants and planters in your facility just email us at info@interiorofficeplants.com.